I've always had a thing about nostalgia. So much so, that I continuously revisit places from my past. My grandparent's old family farm, my family's first home, old playgrounds, drugstores, diners, and shops. Others rarely understand this habit, and raise an eyebrow when I make these requests. For many people, the past is gone, and they have no great need to revisit it. The above quote from the movie "Midnight in Paris" is uttered by a rather unpleasant character, who is trying to explain the dangers of nostalgic thinking. He does have a point though. Was the past REALLY that much better, or have we buffered out the problematic parts and just remembered the good? He's right that humans tend to do that. And yet, nostalgic people can't always help themselves. The Germans have a word called Sehnsucht, defined as, "longing and yearning for pieces of life that are unfinished or imperfect. It's also referred to as "life longing" or an individual's search for happiness while coping with the reality of unattainable wishes." Life longing. I like that. Have felt it many times. That feeling that there is just some piece of life that you haven't quite discovered that might unlock the secret for you. On the opposite side of nostalgia is something called "destination addiction." We all know this one. It's that thinking that life will be better when you just reach some finish line in your head. When I just graduate from school. When I just get married. When I just buy a house. The problem is, we get to that finish line, enjoy it for a moment, and then realize we still have the same old thoughts in our heads. Soon enough we are angling for the next destination. I was thinking about all of this following the recent suicide of Anthony Bourdain, a man I greatly admired and always felt a certain kinship with. When he died, everyone had an opinion. It was about a recent breakup. He may have had Parkinson's. He had issues with addictions he was never able to shake. But I think what he really may have suffered from was an addiction to novelty. It's a feeling I know all too well. The desire for new places, new food, and new experiences. He was on the road 250 days a year, and had more novelty in his life than almost anyone. And yet sometimes in his more pensive moments, you could see a kind of sadness on his face. Loneliness. A longing that never really got satisfied. And in the end, who really knows what broke his heart. But he most certainly left a lot of memories behind. But I also think there is perhaps a lesson in his life we also might apply. We have to dance as happily as we can to the music that is playing now. I recently got a chance to apply this lesson in the most unlikely of places. Midnight in Paris wasn't an option at the moment, so I had to settle for a returned services club in New Zealand. 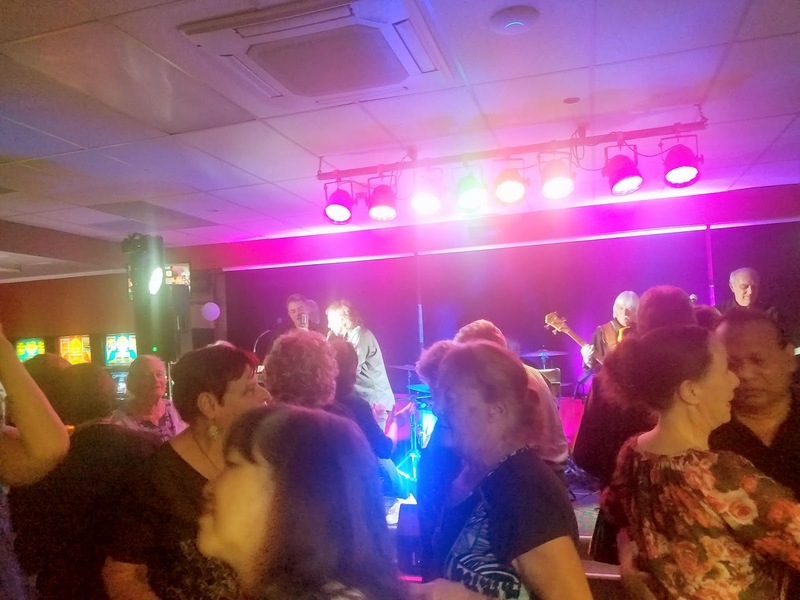 Every Friday they feature bands playing music from the 50's and 60's, and the crowd is usually also much older than your average music venue. On my first visit, I merely observed. I was fascinated watching the old dance moves and listening to the old songs. Music and dancing have the power to wake up the soul like no other. If you don't believe this, I refer you to Billy Jordan, who turned a group of seniors trapped in a nursing home into a fierce hip-hop dance group called The Hip-Operation Crew. But as for me? Sitting out wasn't an option on my 2nd visit to the club, as a spirited older lady in blue suede shoes took me by the arm out onto the dance floor to dance to "Runaround Sue." When I tried to politely decline, she asked, "did you come here to watch or did you come here to dance? Because if you just came to watch, you're clogging up the dance floor." And dammit, no one accuses me of clogging up the dance floor. And now I drop by every Friday to dance along with these folks. I think they may have helped me resolve my problem feeling stuck between nostalgia and destination addiction. It's okay to celebrate the past. It made you who you are after all. But we also can choose to dance to the music that is playing now. These people have certainly proven this to me. No one is too old or too fat or too tired. They all just get out there and dance. And this is what I vow to do as well. Dance to the music that's playing now.